Situational awareness: Uber has filed for its much-awaited IPO. We'll be updating this. Breaking: The Israeli Beresheet lunar lander didn't stick its potentially historic moon landing today, suffering from a main engine failure in the final moments of its descent. Details. Julian Assange's Ecuadorian refuge has ended after more than six years, with the WikiLeaks chief facing American extradition for conspiracy to commit computer intrusion. NYT: "The single charge ... was filed a year earlier, in March 2018, and stems from what prosecutors said was his agreement to break a password to a classified United States government computer." "It carries a penalty of up to five years in prison and is significant in that it is not an espionage charge, a detail that will come as a relief to press freedom advocates." "American prosecutors said that in March 2010 Mr. Assange agreed to help [Chelsea] Manning crack a password on a Defense Department computer to reach restricted classified government documents and communications." For American politics: Few figures have been so influential in our past decade — think Hillary Clinton's emails, Iraq War footage that created a political firestorm in President Obama's first term, and his offers to assist Edward Snowden. For the free press: To be determined. 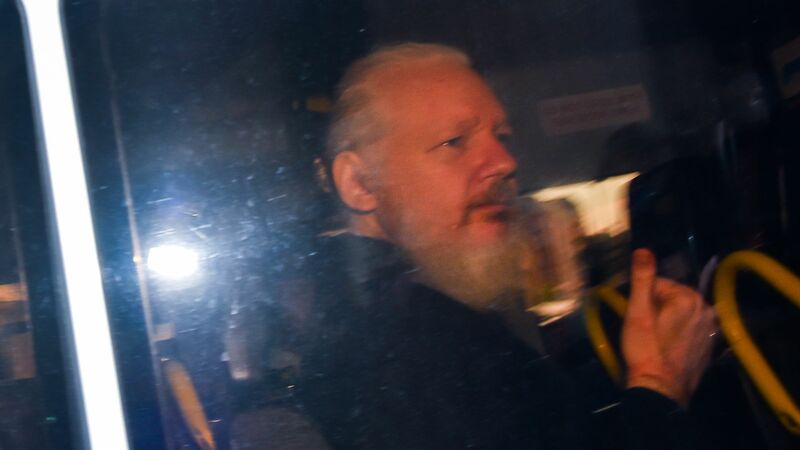 Reporters have expressed concern that charges for publishing stolen documents could erode the First Amendment, but Assange's charge is for hacking, not publishing, the documents he obtained with Chelsea Manning. Between the lines: There's a good chance that Assange leaving WikiLeaks will be beneficial for the organization, Axios cybersecurity reporter Joe Uchill notes. "WikiLeaks being run as a cult of personality was always fundamentally at odds with its core mission: Democratizing the ability to leak documents." President Trump: "I know nothing about WikiLeaks. It’s not my thing," he said today, contradicting prior statements. Assange attorney Barry Pollack: "It is bitterly disappointing that a country would allow someone to whom it has extended citizenship and asylum to be arrested in its embassy." The Intercept's Glenn Greenwald: "The DOJ says part of what Assange did to justify his prosecution - beyond allegedly helping Manning get the documents - is he encouraged Manning to get more docs for him to publish. Journalists do this with sources constantly: it's the criminalization of journalism." Whistleblower Edward Snowden: "Images of Ecuador's ambassador inviting the UK's secret police into the embassy to drag a publisher of--like it or not--award-winning journalism out of the building are going to end up in the history books. Assange's critics may cheer, but this is a dark moment for press freedom." Tiger at the 7th on opening day of the Masters. 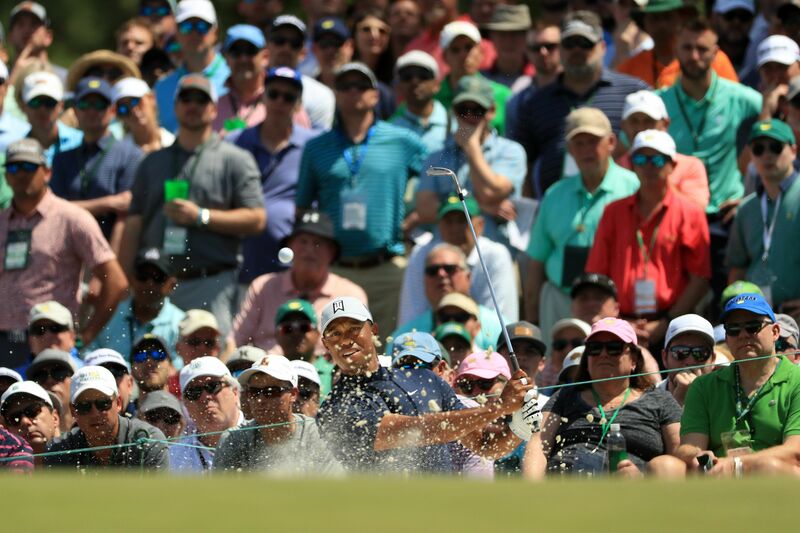 Go deeper: Axios Sports today was devoted to a glorious Masters preview. Michael Avenatti has been indicted on 36 more counts. Read the indictment. President Obama's former White House counsel Gregory Craig was indicted for concealing information and making false statements to federal authorities in an investigation stemming from special counsel Robert Mueller's probe into the 2016 election. Go deeper. Authorities arrested a 21-year-old white male suspect, Holden Matthews, on suspicion of burning 3 historically black churches in Louisiana's St. Landry Parish. Yellow or brown-tinted snow has been falling in Minnesota due to dust entrained into a massive blizzard's southwest flank in Texas and New Mexico. Details. Scientists announced a preliminary success in devising a cancer "vaccine" that was able to help prime the immune system to attack lymphoma cancer tumors in some patients, leading to a period of remission. Go deeper. A growing number of Republican-led state legislatures are taking aim at Roe v. Wade by adopting "fetal heartbeat" measures. The big picture. "Built from journalist Gabriel Sherman's 2014 book 'The Loudest Voice in the Room,' the series will begin in the mid-1990s, when Ailes hatched his plan for a conservative competitor to CNN and MSNBC." 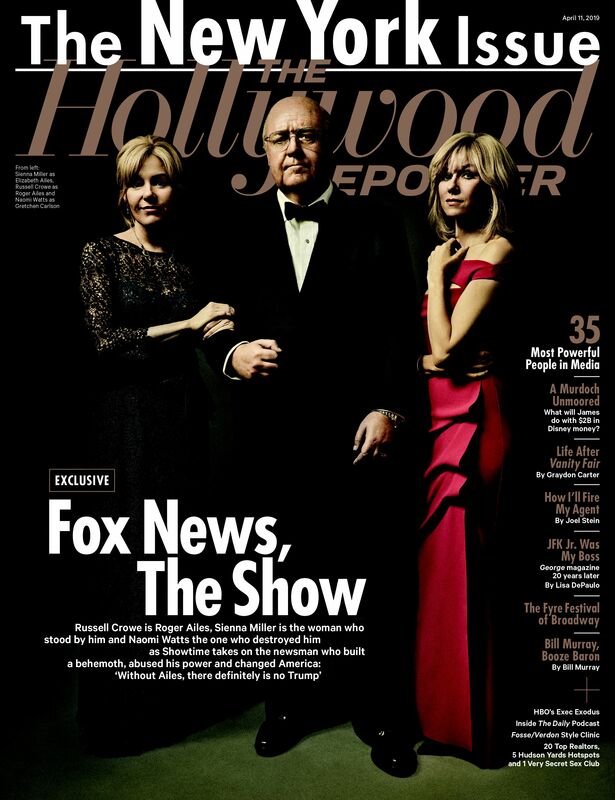 "[T]he show will explore how Ailes rose to power as a master of news as provocative stagecraft, trouncing his rivals and happily feeding a period of partisan acrimony."